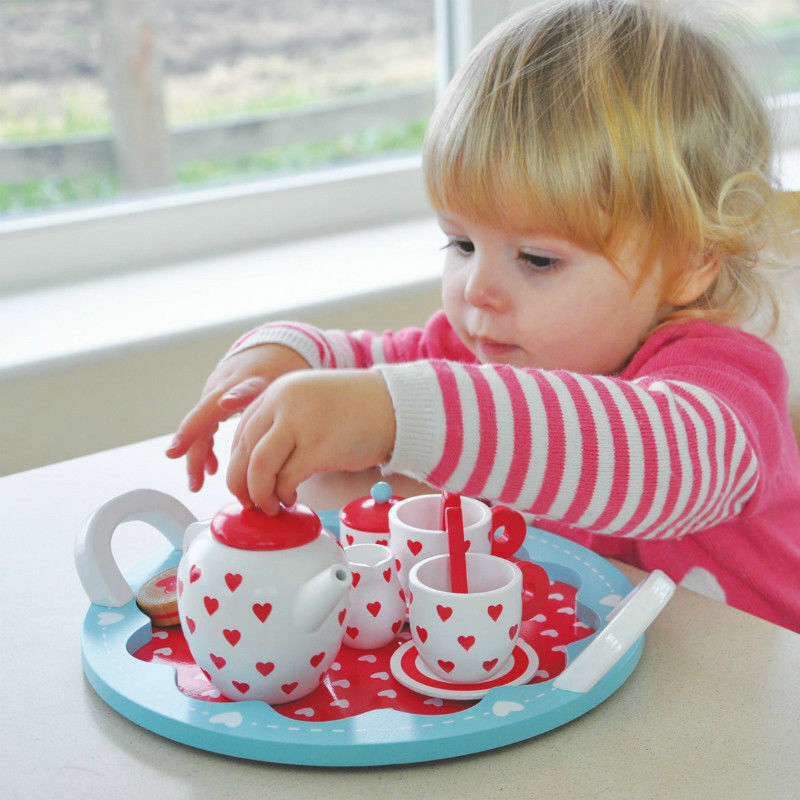 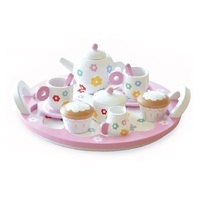 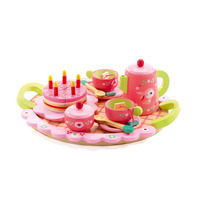 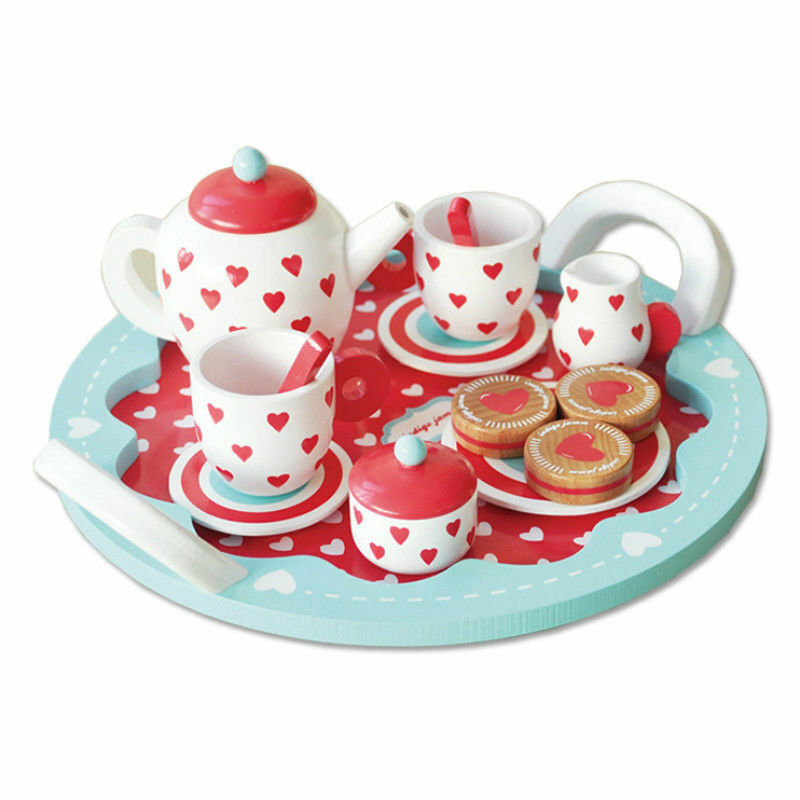 This lovely hearts tea set is perfect for doll's tea parties and encourages imaginative play. 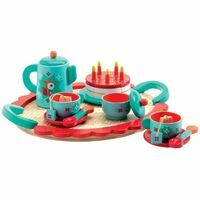 The set includes a tea tray, 10 tea set pieces and 3 wooden biscuits. 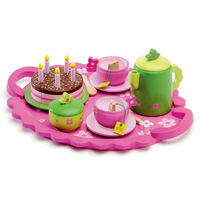 With a removable tea pot lid to help give the tea set a realistic feel. 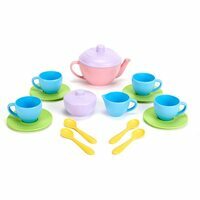 Help other Toy Galaxy users shop smarter by writing reviews for products you have purchased.